Why eat at a standard restaurant when you can eat in the sky? With Dinner in the Sky, an all-new experience that has come to LA for just the summer, you and your friends can get the unique experience to eat brunch or dinner at a table that is seemingly floating in the sky! 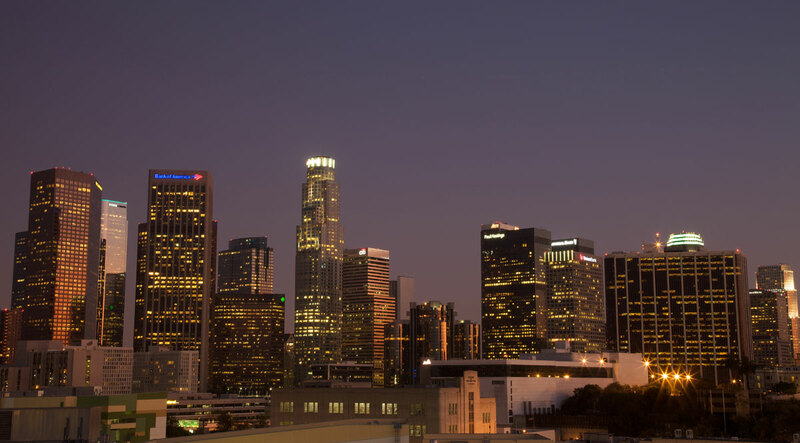 In addition to this exhilarating experience, enjoy good food and a view of Downtown Los Angeles that can’t be beaten! Dinner in the Sky will be in LA from July 1st through the 31st. Book your experience today! Here’s how it works. You sit at a large rectangle table while the chefs are busy at work at their station, which is located in the middle of the table. Once everyone is comfortably seated, you then realize that your seat is not like a regular chair. Instead, this seat has a seatbelt that securely fastens around your waist and your two arms. After everyone has been fully buckled in, the table begins to rise over one hundred feet in the air! After the designated height is reached, sit back, relax, and enjoy the view while having a delicious meal prepared right in front of your eyes. If this sounds like something that you and your friends or family would be interested in doing, you can book your trip today online by visiting www.us.dinnerinthesky.com. All you have to do is choose the date and time when you would like to attend. On most days, dinner is available at 5 pm, 6:30 pm, 8 pm, 9:30 pm and 11 pm. On select days, a brunch option will be available as well. On these days, brunch is available at 10:20 am, 12 pm, 1:30 pm and 3 pm. Dinner in the Sky will only be in Los Angeles from July 1st through the 31st so don’t miss out on this unique opportunity to see Los Angeles at night in a whole new way! If you are coming to town for Dinner in the Sky, consider staying at one of the beautiful boutique hotels in Downtown Los Angeles.